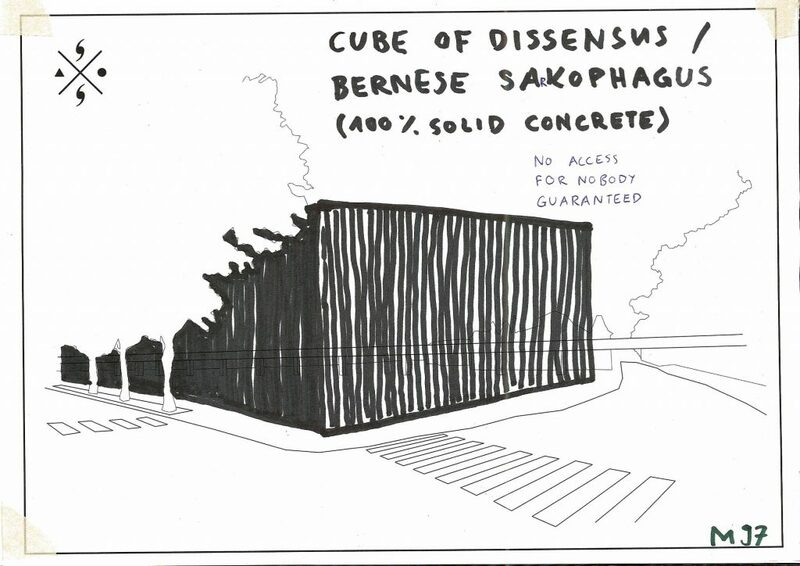 In 2014 the Social Space Agency published a proposal to the city of Berne, Switzerland (The Bernese Proposal). 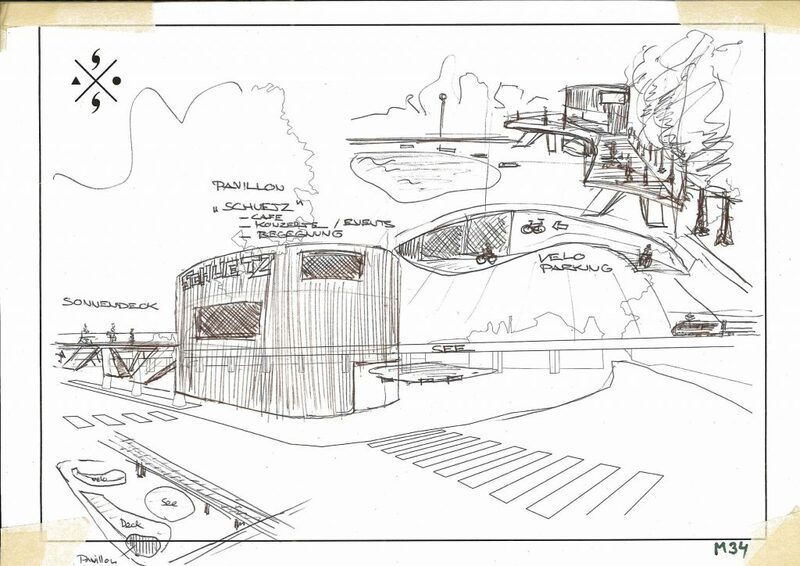 The proposal included the introduction of an experimental day, a multi-layered city perception, a greater tolerance for non-official, non-commercial communication channels in public space, prototype places for public and semi-public spaces, and a laboratory for new developments for the city. 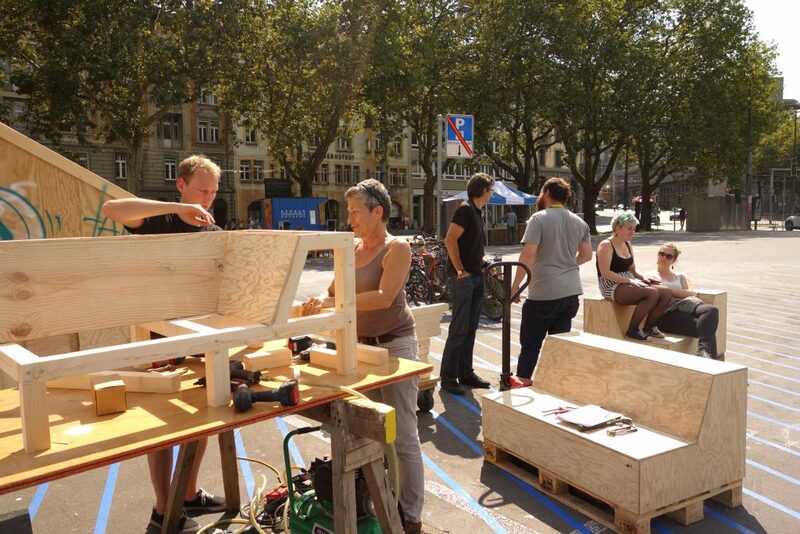 Although none of those proposals were put into practice, we still got invited to join the Stadtlabor Schützenmatte — a participatory lab to collect ideas for the reuse of a parking lot in the centre of Switzerland’s capital. 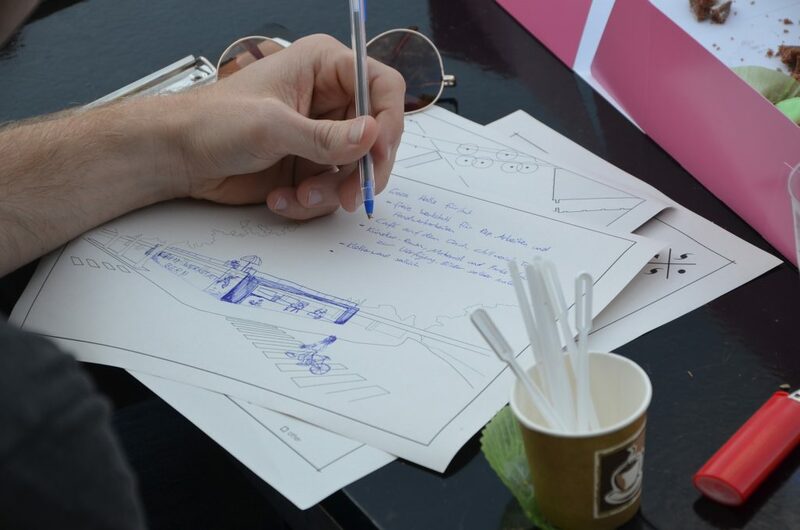 City officials asked us to collect ideas of the public. 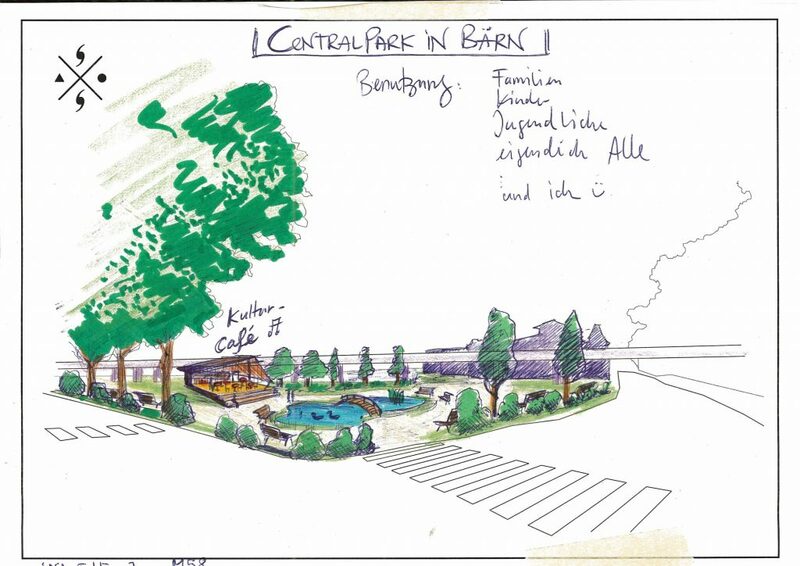 We expected — if people were merely invited to share an idea of what this place could turn into — that we would hear a lot of „park“, „playground“, „sports facilities“ and the like. What we wanted is a) to push people’s imagination into new frontiers — visioning the unconventional, and b) to create supporting inferences between people’s ideas. Our response was the Area Permutation Engine. The Engine consisted of a set of modules to document ideas, and another set of supporting modules to lead the imagination beyond the conventional. The whole engine can be looked up here. Modules included plain text, maps of the area, voice-recordings and queries amongst other. As supporting modules we used spheric soundtracks on mp3-players, fictional roles such as the „childlike underground gardener“ or the „paranoid street art philosopher“, filters for your perception such as „mysterious and hidden things“ or „contradictions“. We were setup in a pavillon in the middle of the square. 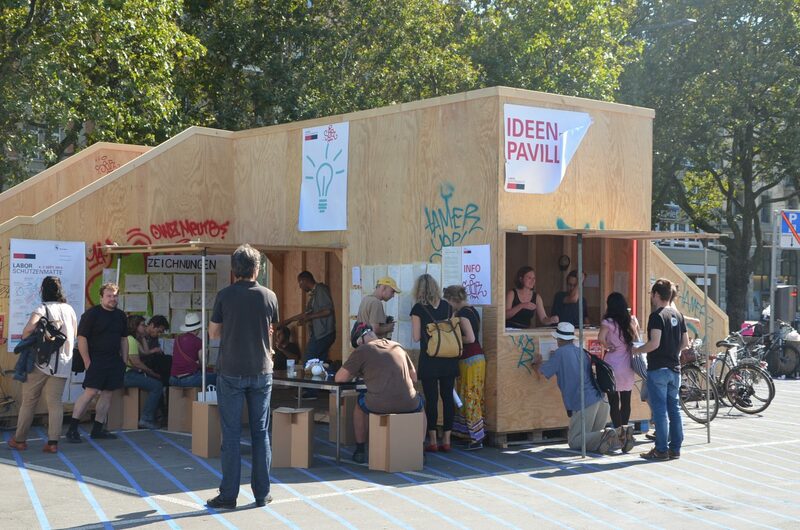 The pavillon served both as an information desk and as a billboard to exhibit the documented ideas. 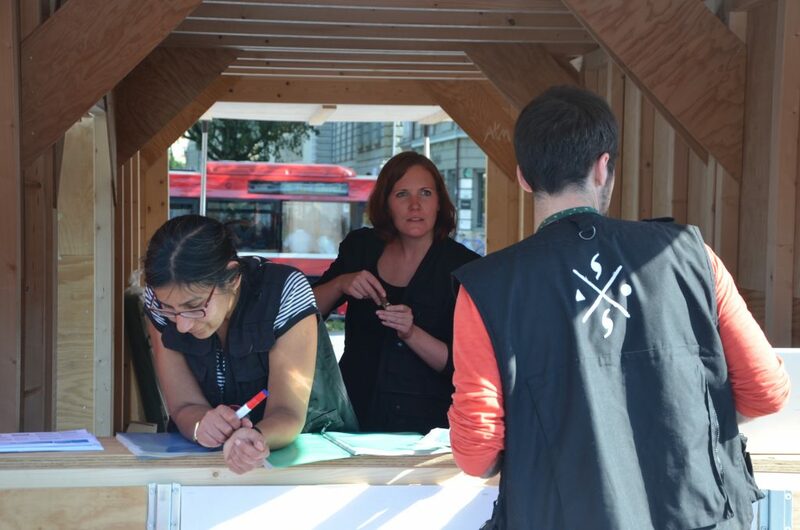 During opening times, a couple of socionauts were always present, informing, helping, and collecting ideas. After the first two days, we started to introduce people to other people’s ideas that pointed into similiar directions. In total, we collected 276 ideas in four days. 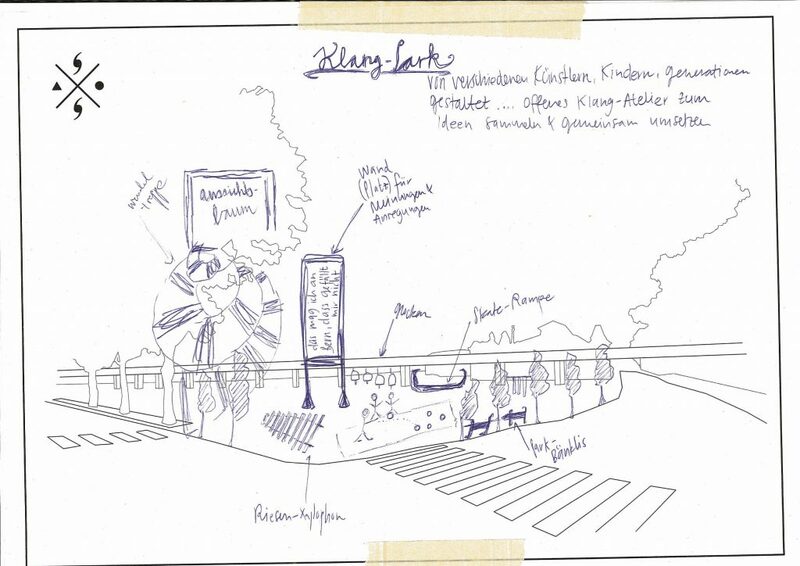 Ideas ranged from urban gardens, to bike-circuits, to a public water-park including showers, to a modern amphiteatre out of concrete, to a mobile kitchen-wagon. The word spread throughout the days, gathering more and more people towards the end of the four days. Nevertheless, a lot of people showed their concern that the whole participartory project might only be an alibi. 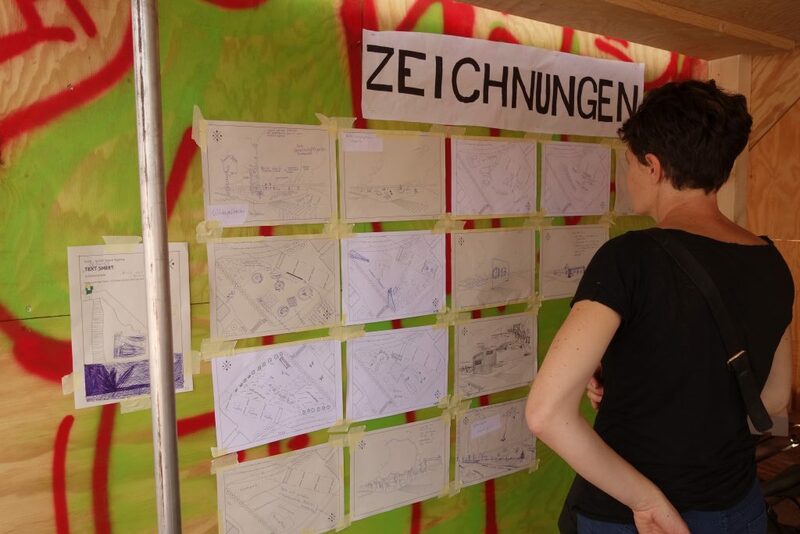 After the Stadtlabor Schützenmatte we scanned all material and wrote an analysis (that can be found here: Schützenmatte Report, German only). Although we insisted on getting the opportunity to explain our work and people’s ideas in front of the committee, we were not invited to the meeting. On further request from our side, we were cut out of the continuing process as a result.